Late in the monsoon, lines of families wind their way through the streets of old settlements in the Kathmandu Valley. 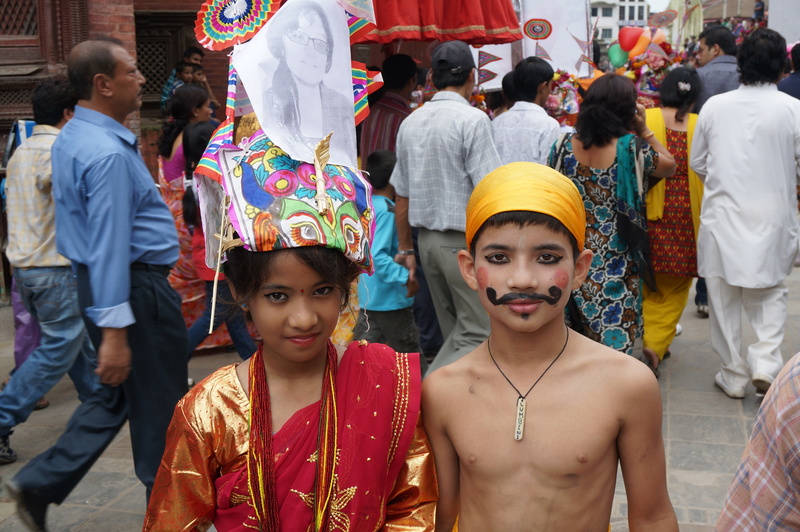 Boys and some girls are dressed in festive costumes as ‘cows’. 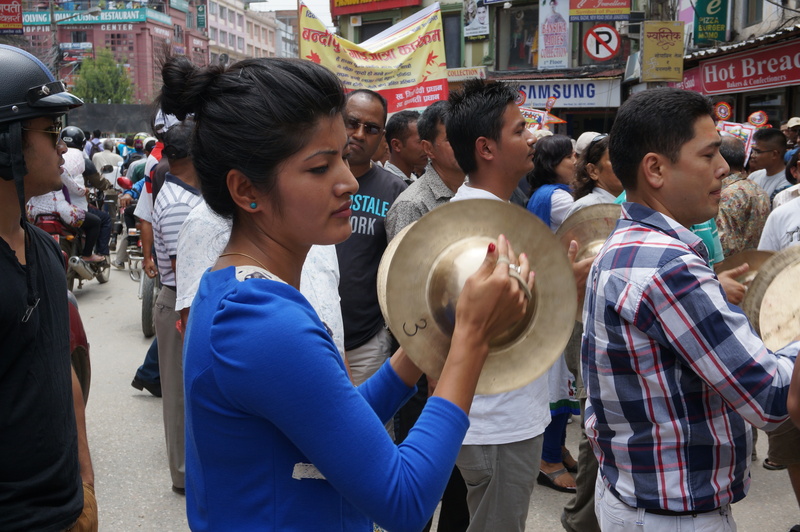 Wealthy families have a band, whether a blaring brass band or a traditional band with drums and bamboo flutes. Some families lead a cow on a leash; a cow being the symbolic assistant for the deceased in their journey through the afterlife. 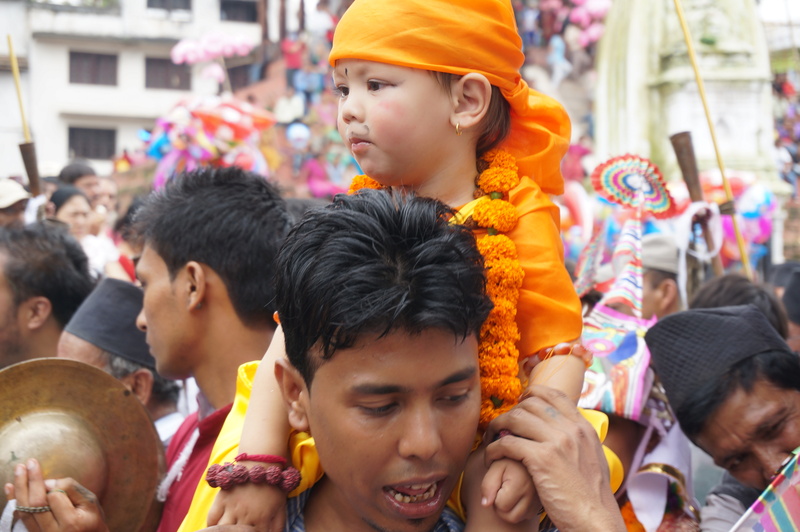 Gai Jatra is is a procession of the families bereaved in the past year. Crowds come out to watch for everyone is sharing their common experience, an experience that is part of life for each and every one of us. No exceptions. It all began centuries ago when a queen was distraught at the death of her son. The king had tried everything to console her. Finally, realising the common experience of so many families, he commanded that every family having suffered bereavement in past year should join this procession in recognition of their common experience. 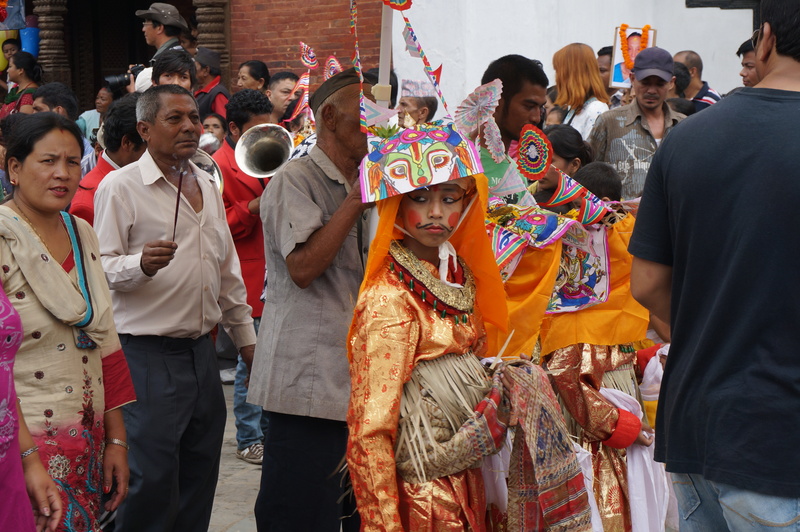 This commonness is shared among the families of the Newari culture as part of the wheel of life, but it is also a festival celebrating the common experience of all beings. The first times that I witnessed the procession, its profoundness escaped me. Gradually, living in another culture (or cultures) forced me to think about another way of being. 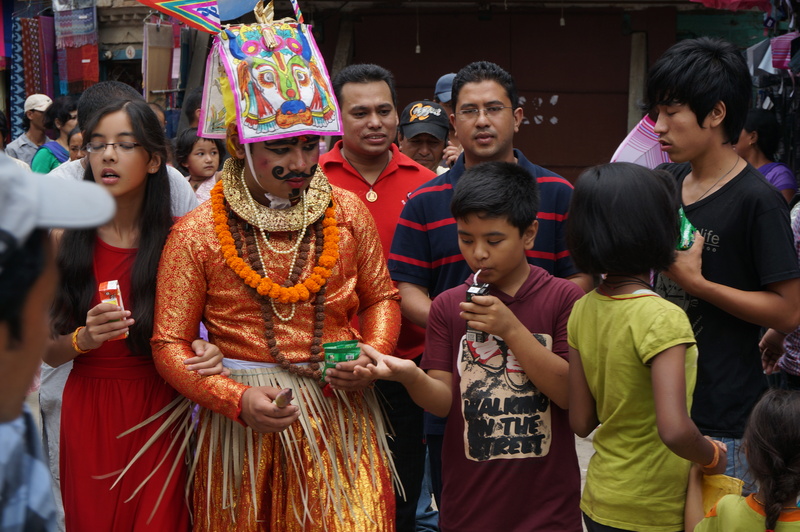 Soon, I realized that these processions and rituals celebrated and acknowledged experiences common to everyone. Instead of examining the oddity of different traditions and customs we can seek the inner purposes that might bring us into an understanding of the culture. We can look at our commonness in the wholeness of humankind. These experiences embracing the sacred and the profane engage us in a whole life experience. I realised how profoundly my own beliefs had shifted to the more eastern, Buddhist perspective when both my mother and youngest sister in Canada were ill and passing away with cancer. Although I don’t honestly know how I’ll react when my time comes, I realise that this is the most common and inevitable of human experiences. Each of us will experience bereavement and our own death. How do we as westerners bridge the gap from seeing death as ‘failure’ to seeing life as a precious opportunity, which is by its very nature limited. We make the best of life while we can, but realise that it will end and that each and every one of us will experience this. 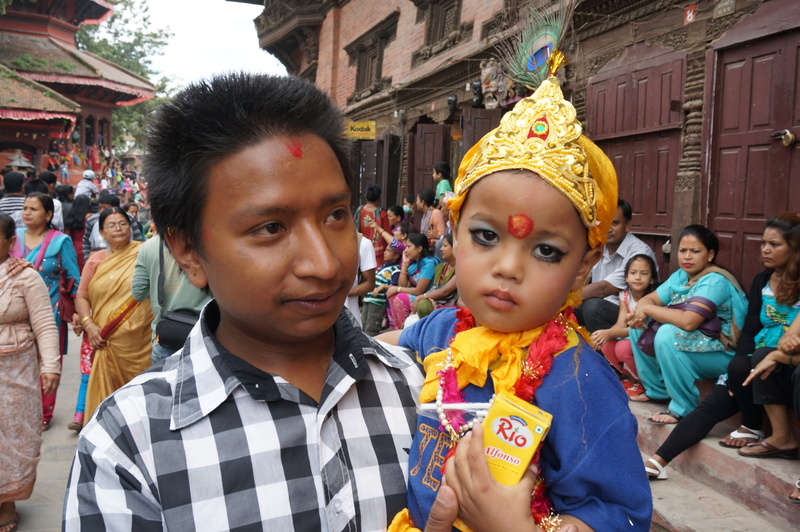 This entry was posted in Nepal, spirituality and tagged common traditions, Nepal Newar festivals by franceslk. Bookmark the permalink.